Call List Scrubber Do Not Call Registry Software - Easy To Use Do Not Call Registry Software! Call List Scrubber is the easiest, most powerful DNC Compliance software! Call List Scrubber is a simple to use tool designed to help anyone comply with Federal and State Do Not Call Laws. 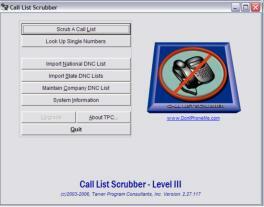 Unlike call list scrubbing services, Call List Scrubber is a software program you install on your computer. Pay for Call List Scrubber once and then use it as often as you want! With Call List Scrubber, Tarver Program Consultants, Inc. created a fast and easy way to help telemarketers comply with the Telemarketing Sales Rule. 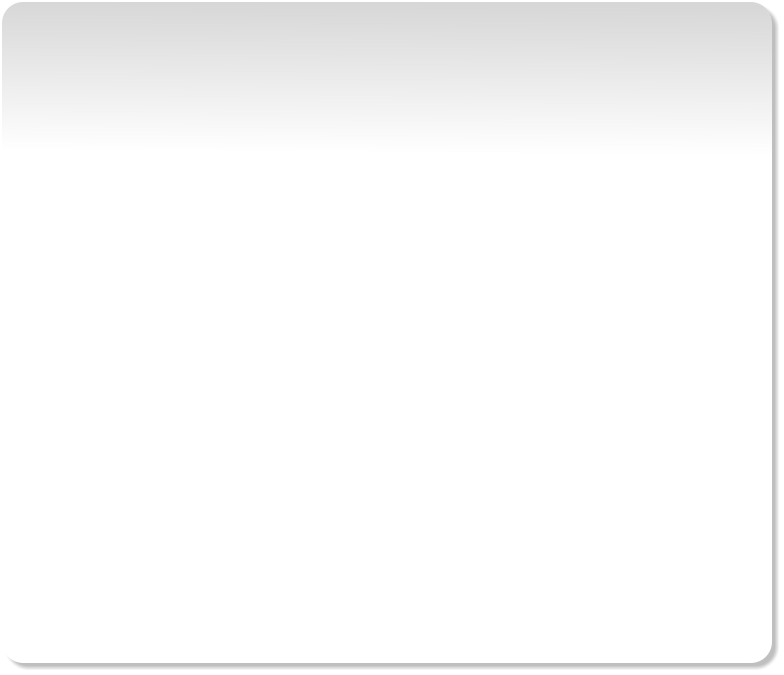 Use Call List Scrubber to identify and remove telephone numbers on your call lists that have been registered with the National DNC Registry and avoid large potential fines. Please spent a few minutes to learn more about this time and money saving product. If you like what you see, download the free demo version of Call List Scrubber. The demo is fully functional, but it does limit call lists to 25 records. 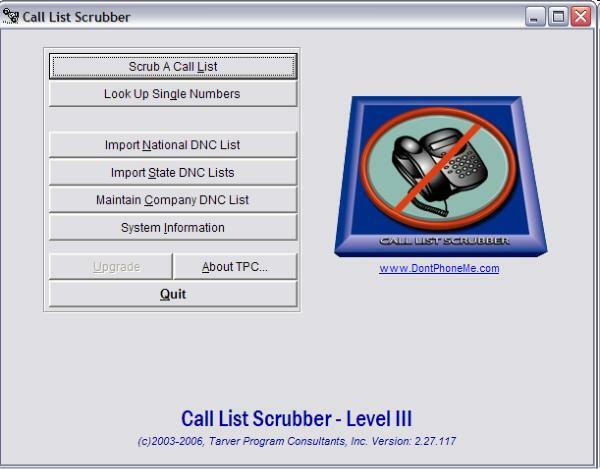 Import DNC Lists you’ve downloaded from DoNotCall.gov, scrub a few lists and when you are convinced that Call List Scrubber is the best scrubbing tool on the market, return to this site and purchase Call List Scrubber today! Please Read This Note From The Developer! © 2010, Tarver Program Consultants, Inc.